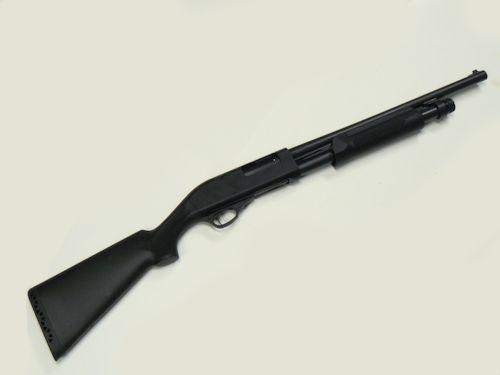 Barrel Length: 18.5" Overall Length: 38.25" Weight: 5.4 lbs. 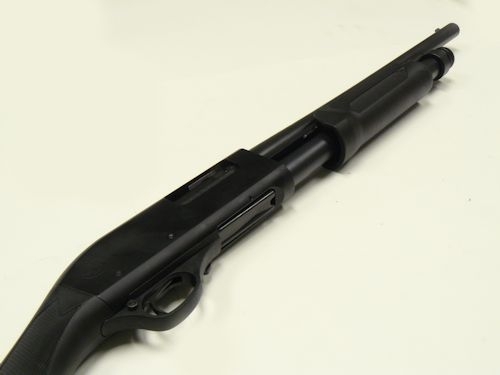 Great for outdoors and self defense; this shotty is a classic. 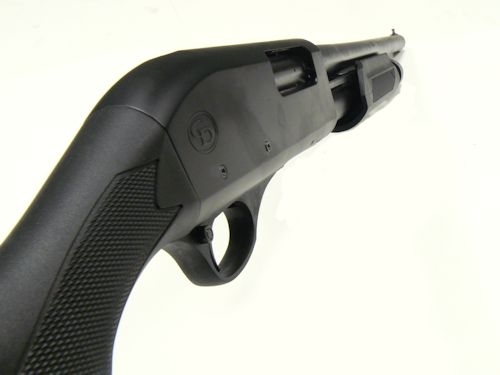 The receiver is machined from an aluminum block making this gun lightweight and super strong. Unfortunately, not available for sale in MA, CA, CT, NY or where prohibited by law..
Bought this gun from my brother in law and I tell ya ,I've had lots of fun teaching my son,13 how to respect and properly handle a firearm!! I shoots like a champ and I've had minimal training but I grew up hunting so I have a pretty basic knowledge of firearms!! But over all this gun is fun to shoot,very reliable and easy to handle with the turkey barrel on it! Nice and short easy to move around the house in a defensive situation !! Great gun am I picked mine up for 100$ cheaper!! Even better but it's worth the selling price! GREAT GUN! !